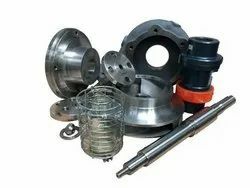 Providing you the best range of compton high pressure pump spares with effective & timely delivery. Due to the modular construction of our pump designs, modifications and upgrades can be incorporated into your existing pumps, for example if a duty changes, providing you with a cost effective solution. Our staff are able to assit and advise which options are available. Looking for Compton High Pressure Pump Spares ?